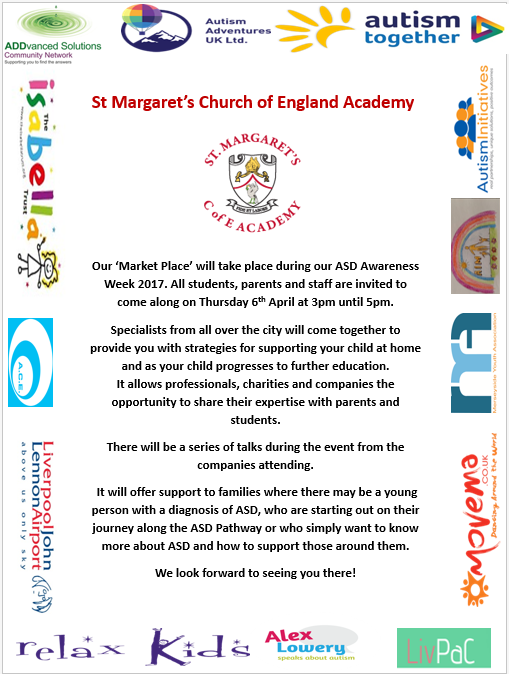 Please find below details about autism training for parents. 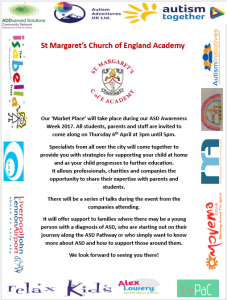 A ‘Market Place’ event will take place at St Margaret’s Church of England Academy on Thursday 6th April at 3pm – specialists in autism from all over the city will be available to offer support to families. Drop-in sessions held by the Autism Training Team are held twice a month in different children’s centres across the city – Walton Children’s Centre hosts the drop-in session on Monday 26th June from 9.30am.